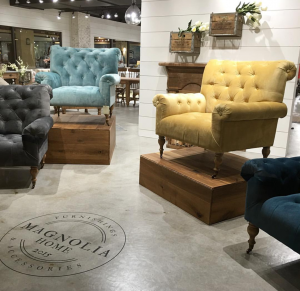 For those of you dreaming of making a pilgrimage out to Texas to find your home a special piece from Joanna & Chip Gaines’ Magnolia Market, that dream maybe closer to you than you think. 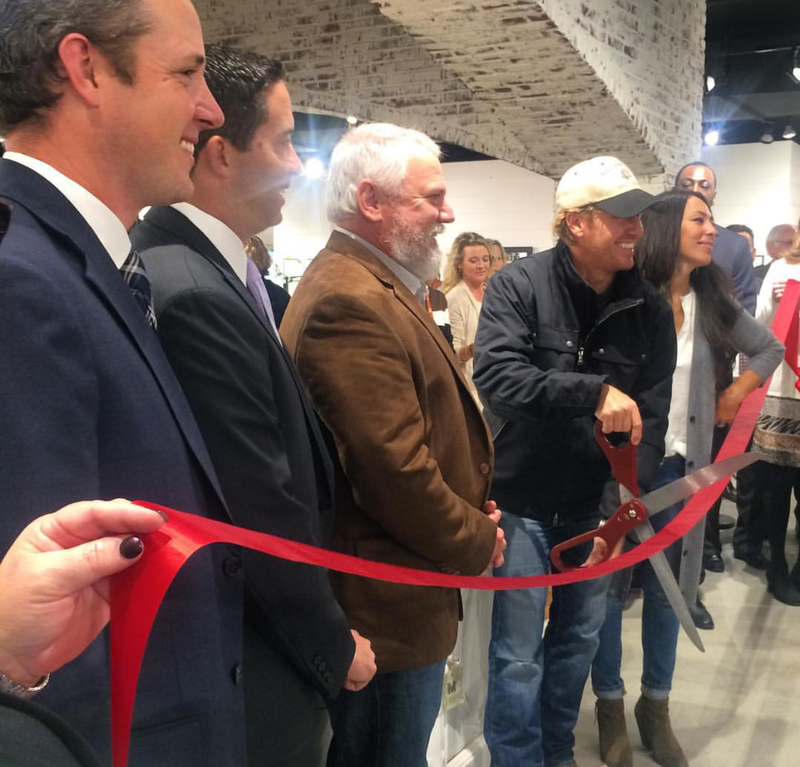 HGTV’s newest hit show Fixer Upper features this fun loving, creative couple as they own and operate Magnolia Homes, transforming outdated properties into stunning works of art. 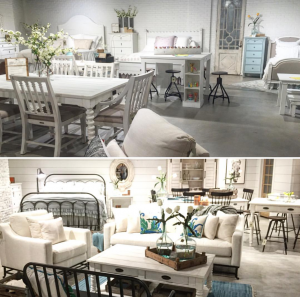 From the popularity of their show and the demand for their design, Joanna has now teamed up with Baldwin County’s own Standard Furniture Corporation to bring her first furniture line to stores across the country beginning this month. Standard Furniture is a family-owned furniture manufacturer and distributor. Standard was founded in 1946, headquartered in Bay Minette, Alabama and employs hundreds of Baldwin County residents. From their press release, Standard Furniture and Joanna Gaines entered into a long-term licensing agreement in May 2015 for a line of products to be marketed as “Magnolia Home by Joanna Gaines.” Magnolia Home will be a fully independent division of Standard Furniture Corporation, sharing limited operations such as warehousing and distribution. some 350 items in bedroom, dining, occasional, office and upholstery. The line is broken down into Primitive, Industrial, Boho, French Inspired, Farm and Traditional genres to satisfy different buyers’ styles. If you who are not familiar with the show, Chip is a construction and real estate guru who knows how to create the structure for the vision that his lovely wife Joanna has in mind. 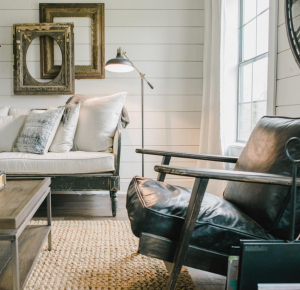 She then pulls it all together with her incredible sense of style, think farmhouse country meets shabby chic. They clearly love their Central Texas college town of Waco and have open the eyes of the country to it’s southern charm and grace. There is no question these two operate as a great team, from running and developing their businesses to raising their 4 children. 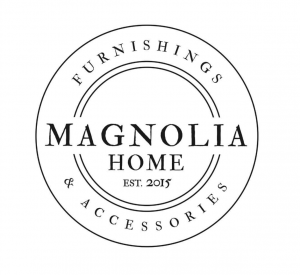 Tim Ussery, executive vice president of sales at Standard Furniture, confirmed with us that J & J Furniture in Daphne will be carrying Magnolia Home on the Eastern Shore. So now you know you can save your traveling funds and put it towards purchasing pieces from this beautiful collection. Not only will it be easier to get it home, you will also be supporting one of Baldwin County, Alabama’s staple companies. To learn more about what is going on in Baldwin County and the Eastern Shore visit our site.